George Bell I (1814-87) trained with Archibald Elliot in Aberdeen before taking up an apprenticeship in William Burn and David Bryce's Edinburgh office, where he met William Clarke (fl. 1842-78), who was also articled to Bryce. Whilst still apprentices, they won the competition for Glasgow's City and County Buildings (1841-4) which was later enlarged by them to include the second Merchants' House, Hutcheson Street (1845) and law courts (1868-92). In 1843 they settled permenantly in Glasgow and produced a number of Italianate commercial buildings, and contributed greatly to the city's stock of tenements. These include 1 Granby Terrace, Hillhead, in which Clarke resided (Bell lived in Springburn). Their important public commissions included the gutting and refitting of William Stark's Justiciary Court, Saltmarket (1845) and later, its complete rebuilding to a design by their assistant, James H Craigie (1910-13). The earlier phase of the building's reconstruction included the installation of copies of panels from Walter Buchan 's Trial By Jury frieze from the firm's City & County Buildings. These were eventually destroyed (as being impossible to save) during the 1910-13 rebuilding, but only after they had been copied in plaster by Archibald Macfarlane Shannan , who exhibited them at the RGIFA , and then presented them to the new courthouse (the building's heraldic pediment group was also destroyed at this time). In 1872-3, the firm completed the first phase of the Fish Market, Bridgegate, which eventually completely enclosed the 17th Century tower of the original Merchant's House (dem. 1817) during the second and third construction phases of 1886 and 1903. 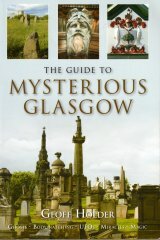 This includes the finest display of polychrome painted sculpture in the city, with portraits of Queen Victoria flanked by pristine white seahorses, and medallion heads representing Neptune and the River Clyde flanked by splendid City Arms. All carved by an unidentified sculptor. Another major sculpture scheme involving Clarke & Bell as their designers and destroyers was the series of statues and groups, by John Mossman , on their 1874 Ingram Street frontage to the Sherriff Court, Wilson Street (Former City & County Buildings). This was demolished in 1891 after the deterioration of the facade's soft sandstone had posed a danger, and was replaced with a plain classical portico echoing their earlier portico at the Wilson Street end. Although the fate of the statues is not known, the architects did, however, re-use the original Corinthian columns for the new portico. Amongst their less well-know commissions were the Surgical Wards at Glasgow's Royal Infirmary, in which Joseph Lister pioneered aeseptic surgery (1861, dem. 1924); the former 3rd Lanarkshire Rifle Volunteers Drill Hall, Berkley Street, known locally as the Battlements of Berkley Street (1886); and the Royal Exchange Assurance Company building at 42-50 Gordon Street, which features a medallion carving of Athena with her owl and serpent (1886). Their output was prodigious, with buildings elsewhere in Scotland also to their credit. Throughout the latter part of their careers they trained and appointed Bell's son, George Bell II (1854-1915), as a partner and, on Bell's retirement, the business passed to him and his assistants, R A Bryden and J H Craigie . Joining his father on leaving Glasgow High School, Bell was thoroughly trained in draughtsmanship and in the firm's commercial and administrative side. Amongst his designs is the Jubilee Fountain in Jedburgh, which commemorates Queen Victoria's Golden Jubilee (1889). During his tenure much of the firm's output was produced by his assistants, with Bryden being credited with designing the colossal Christian Institute (Y.M.C.A.) 64-100 Bothwell Street, which featured carverwork by James C Young (1895-8, demolished 1980), and the Sir Charles Cameron Fountain, Charing Cross (1896), but some buildings of interest were from Bell's own drawing board, such as the former North British Daily Mail Offices, Union Street, which features a fine pair of female medallion heads (1898). A.E. Richardson, Monumenal Classical Architecture In Great Britain and Ireland, p. 70.